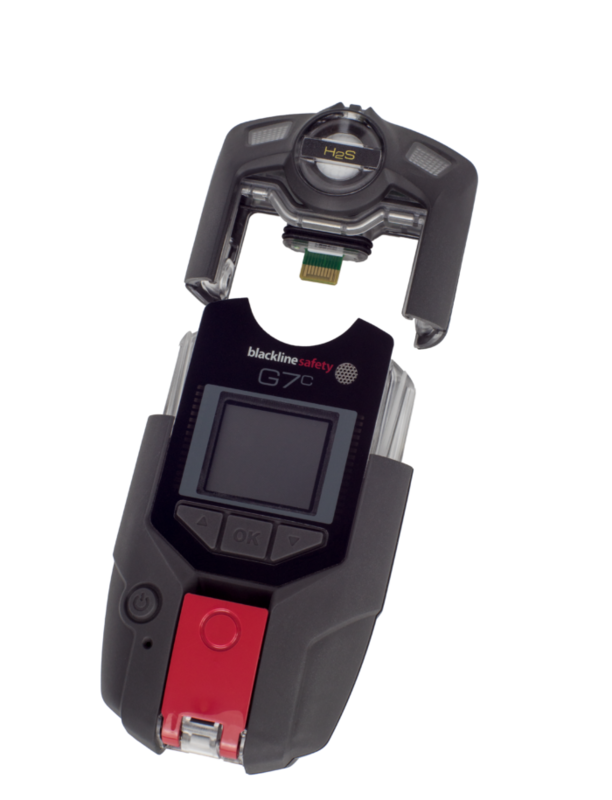 Blackline’s G7 offers an exclusive modular design with field-replaceable gas sensor cartridges and delivers industry-leading customization to accommodate nearly every need. With G7’s cartridges, gas detection and lone worker monitoring are tailored to every industry, scenario and application. G7 provides three cartridge options to support gas detection, lone workers and evacuation management. The selection of gas sensors in each cartridge can be customized and configured for specific work environments. Each cartridge features Blackline’s exclusive green SureSafe® light — when the light is on, workers can be confident knowing that they are connected to the Blackline Safety Network and that their safety is being monitored. Cartridges can be easily and quickly changed out in the field with new, pre-calibrated replacements once sensors reach the end of their operating life. Device uptime is maximized and maintenance time is minimized, ultimately saving businesses money. 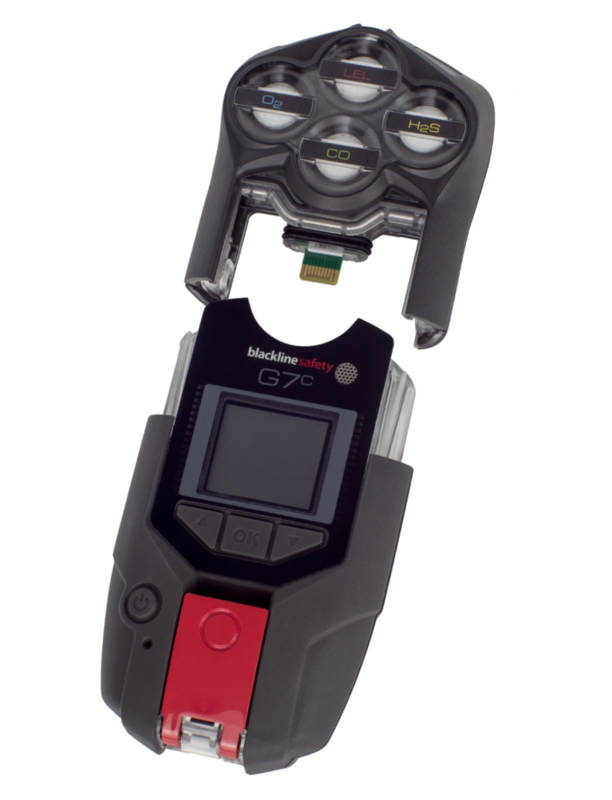 G7’s modular interface allows the device to be converted on-site from a single to a quad-gas monitor in seconds. 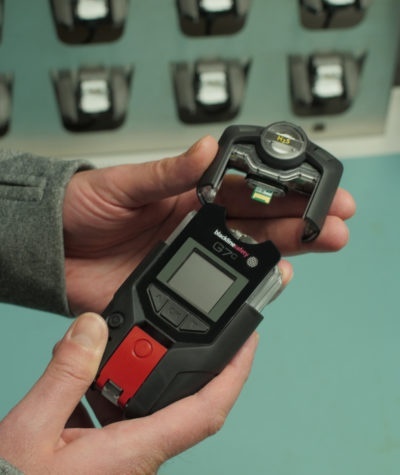 G7 combines the efficiency of a disposable gas detector with the innovation of a connected safety monitor — its modular design reduces the total number of devices needed, as one G7 can function as both a single and a quad-gas monitor, effectively reducing overall costs. When a sensor reaches the end of its serviceable life or gets damaged, the cartridge can simply be switched out for a new one. No more costly repairs or extended product downtimes. G7 devices with Single-gas or Quad-gas cartridges are compatible with a variety of gas sensors. Blackline currently offers gas sensors to detect hydrogen sulfide (H­2S), explosive gases (LEL), carbon monoxide (CO) and oxygen (O2). Blackline offers cartridge replacements as a service plan with new cartridges shipped to locations. With G7’s modular design, sensor maintenance is uniquely simple. Bump tests and calibrations are performed using cal-caps or Blackline’s G7 Dock in-house, at your facility. All test data is communicated back to Blackline Live from the device — wirelessly and in real-time — for compliance tracking and reporting. With G7, never waste time downloading calibration logs again. Servicing gas sensors and wasting money on sensor maintenance is a thing of the past. When a G7 gas sensor reaches the end of its serviceable life, simply switch the cartridge out for a new one on the spot without taking the device out of service.